Christmas is around the corner and to celebrate this magical holiday we are featuring a few samples of holiday related advertisements and imagery from 1946 and 1964, courtesy of Roger Wilkerson’s collection. 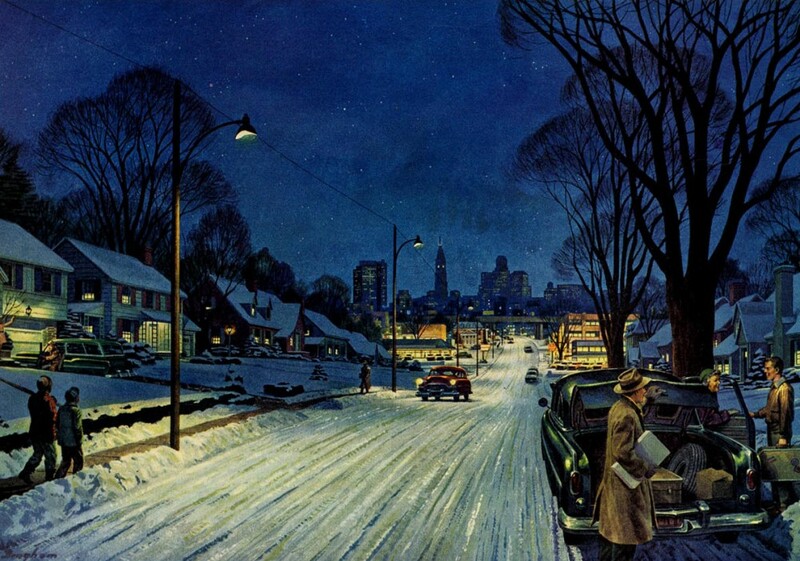 To me, the hand drawn illustrations and images in mid-century advertisements are the epitome of style and warmth. They really show-off how talented advertising America were some 50-60 years ago. That fine attention to design and pseudo-realism really grabs me and makes me secretly wish that’s the way the holiday season would look every year. So, from all of us, to all of you – Merry Christmas, Happy Hanukah and a Happy New Year! What is Santa Claus bringing you this Christmas? Above: Better bundle up, it’s cold out there!